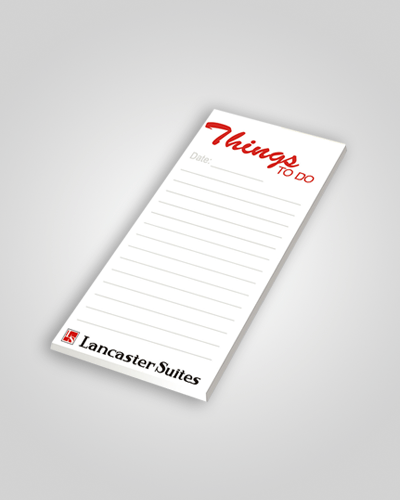 Notepads come in many different shapes, sizes and thickness’. So you will need to let us know we what size you want, and how many leaves you want in each notepad. We usually make notepads with 25 or 50 leaves, just let us know. The best stock for notepads is 100gsm Bond, but if you want this as a bit thicker, or on recycled paper, please give us a call to chat about your project.